The Schwalbe is an electric scooter from the German e-scooter manufacturer Govecs. The scooter is a reincarnation from an iconic eastern-German cult scooter from the sixties. 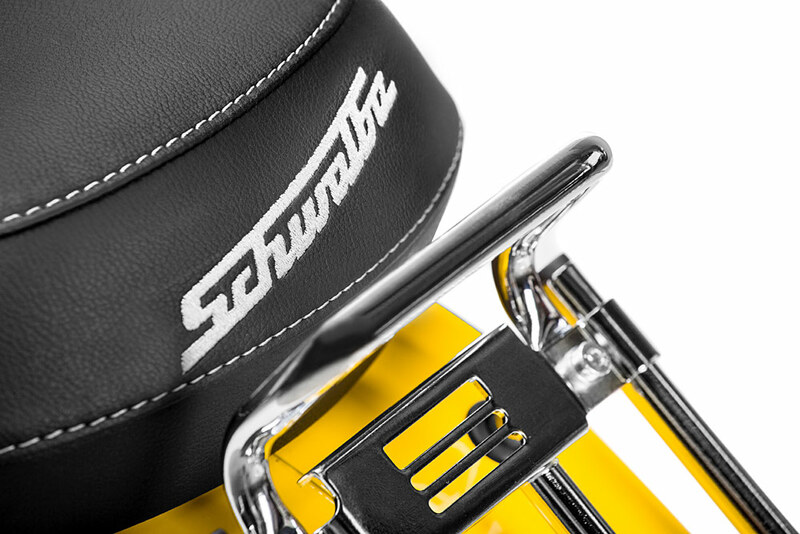 The history of the Schwalbe is long, from the beginnings of the original Stimson & Co. steelworks producing guns and gun barrels in 1856, to the production of bicycles in 1896 and cars in 1907, to the exile of the Jewish founding family in 1936 and the post-WWII reboot of the company in former East Germany (German Democratic Republic, or DDR) making mopeds, motorcycles, and scooters. In the mid-60s, the KR 51 Schwalbe two-stroke scooter went into production, and since then, the rugged scooter has become as recognizable in German cities as the famous Italian Vespa scooter. 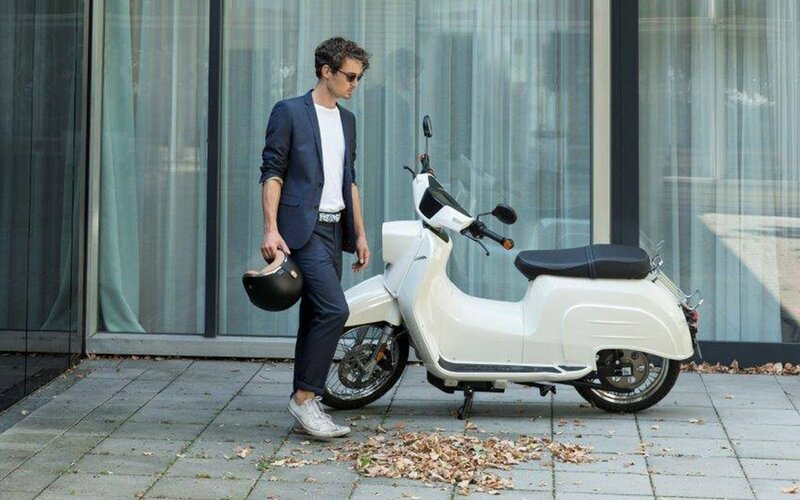 The last original Schwalbe scooters left the factory in 1986 and in 2018 the premium German e-scooter brand Govecs brought the scooter back to life as a powerful electric scooter. 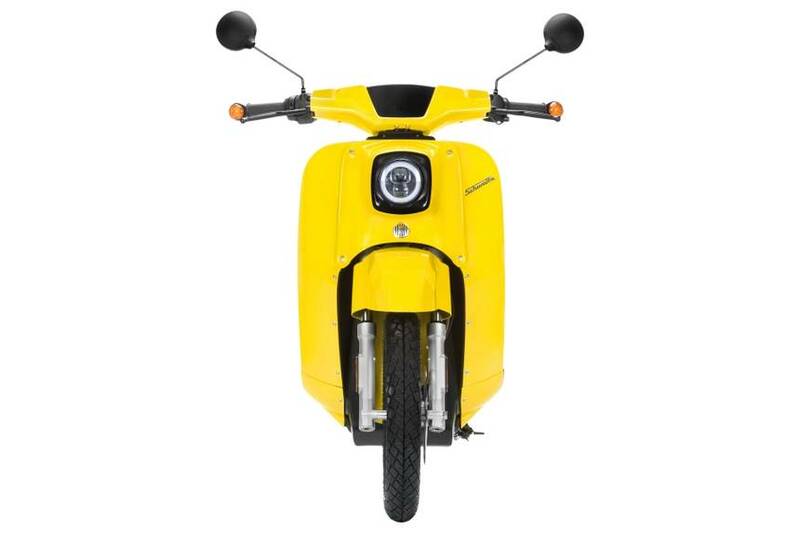 The scooter has a 4,000 watt Bosch motor and a 2.4 kWh Lithium battery with a range of 63 km. 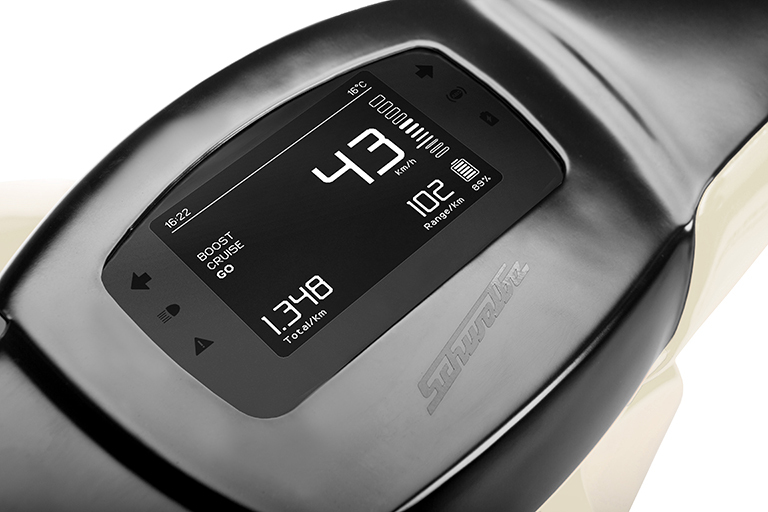 The scooter offers space for a second battery for a total range of 126 km. Unlike the claims of some other scooter manufacturers, Govecs offers warranty on the range of the battery. The scooter offers an option for a 8,000 watt motor and a exceptionally fast acceleration from 0-90 km/h. Note: The scooter must be configured for two batteries. Adding a battery is not possible. 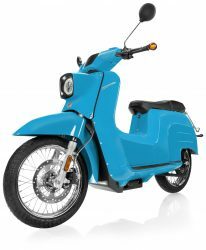 Besides a high natural torque provided by the powerful 4kW motor, the scooter has a two step belt drive system that increases the acceleration speed. The scooter has a digital dashboard, LED lighting and a built in 1200 watt charger. The charge time of the battery is 4.5 hours. After 1 hours, the battery will be charged for 50% for a range of 30km. The quality of the scooter is very high. Govecs is a high end e-scooter manufacturer. The scooter has already won the most prestigious innovation and quality award the Plus X Award. 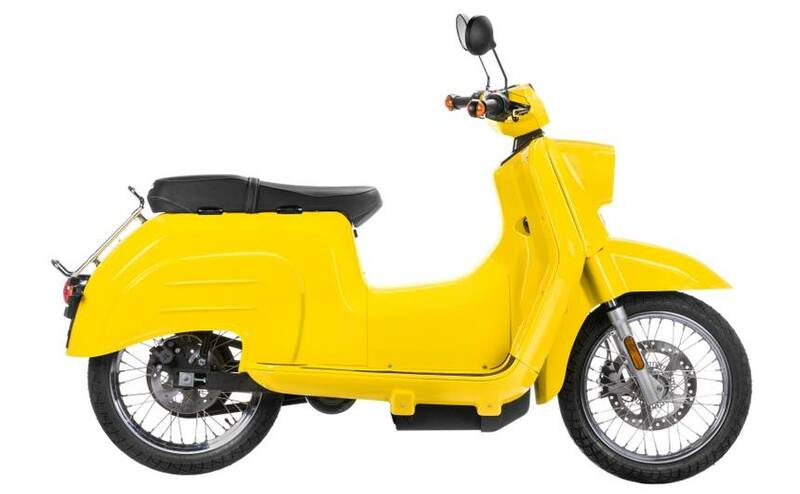 The scooter is available in 5 different colors and has many configuration options including two different braking systems and kick-stands. The scooter can be ordered online on www.myschwalbe.com.